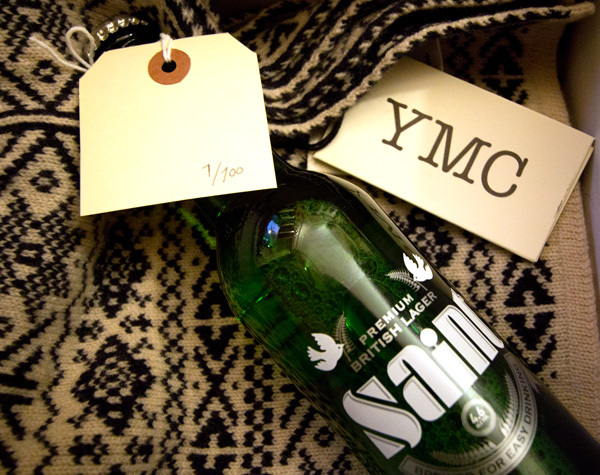 Fresh in from our London-based editor Justine Aw. 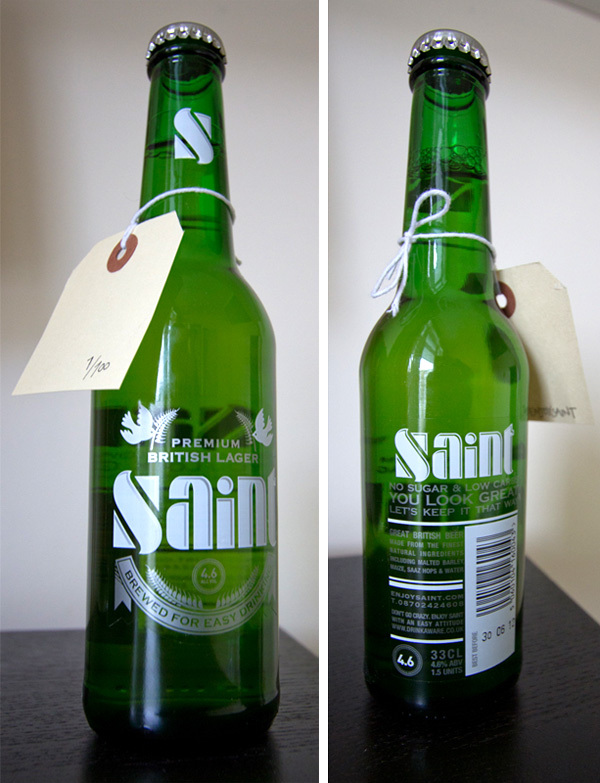 We were honored to receive bottle 1/100 of Saint beer, a British made craft lager from The Saint Brewing Co. 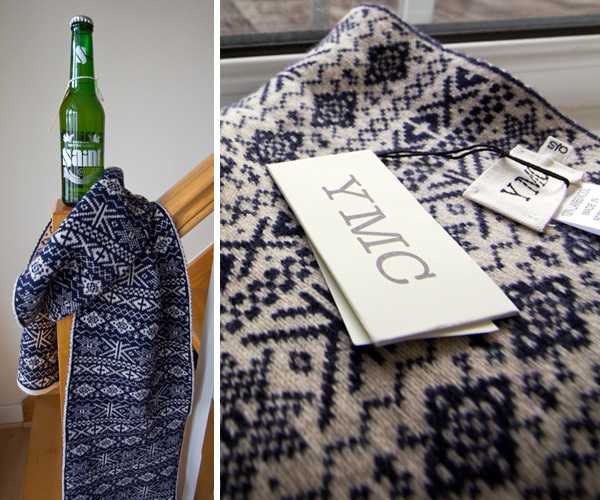 The gorgeous green bottle came in a cozy box snuggled up against a wintry Nordic Knit Scarf from You Must Create (YMC). 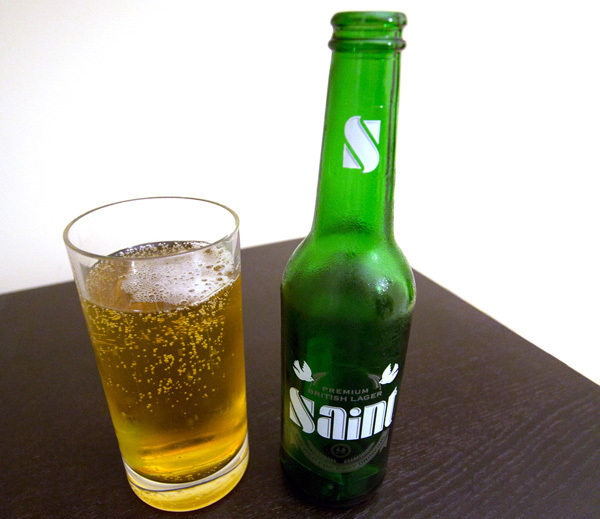 Once chilled to perfection, the lager was crisp and hoppy without being too bitter or too bubbly. 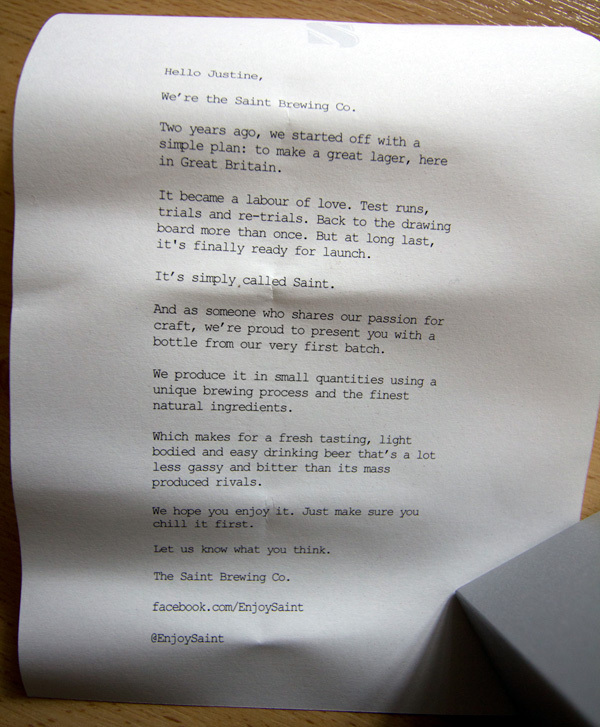 If you too “…want to go down in history as one of the first 100 people in Britain to experience Saint, please enter your email address below.” ~ well, not quite below, but on their website… you can also see some of the bottling pics at Selectism. 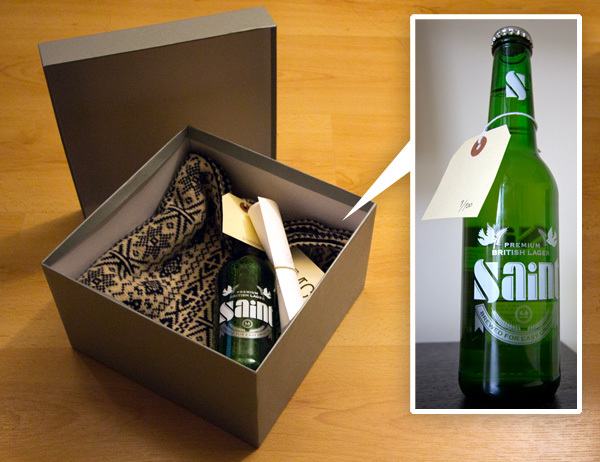 Take a peek at the beautiful design and handwritten note up close on the next page!